Over the course of a decade, we've tested out our fair share of feeding items for our 4 kids! The amount of money we've spent on cups, bowls, plates, utensils and bibs over the years could probably pay our bills for a month! And let me just say, they didn't have quite as many options when Dylan and Lexie were babies. 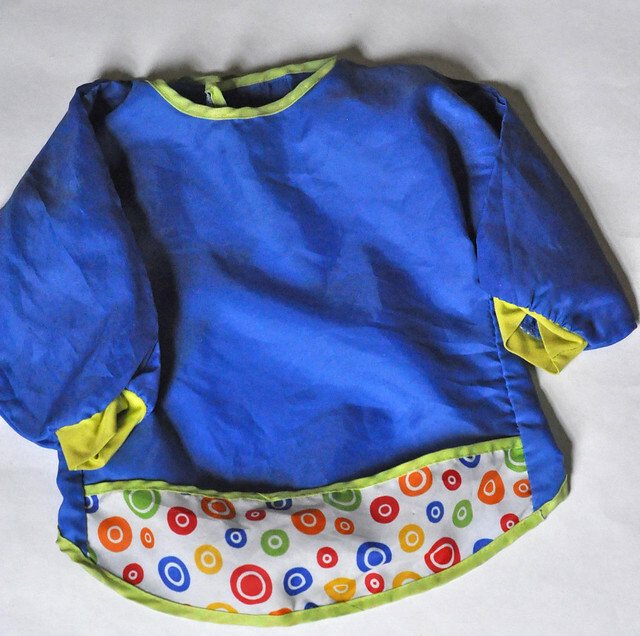 They are only 11 and 9, but baby items have changed drastically over the years! We are in the midst of the toddler stage with Liam. What worked for feeding during the baby stage no longer works during the toddler stage. After some trial and error, I compiled a list of our absolute favorite toddler feeding essentials. First things first...where to sit? With Dylan and Lexie, we had a traditional high chair. After Lexie outgrew it, I gave it away because I thought we were done having kids. HA! When baby #3 came along, we opted for a space-saving high chair. It's basically a full-size high chair without legs that straps onto a kitchen chair. We have the Fisher-Price Spacesaver High Chair. While there are certainly some awesome traditional high chairs out there, this one works really well for us. It has a great recline feature, so our newborns were able to sit at the table with us from day one. Now Liam can eat with the tray on or we can take it off and pull him up to the kitchen table. 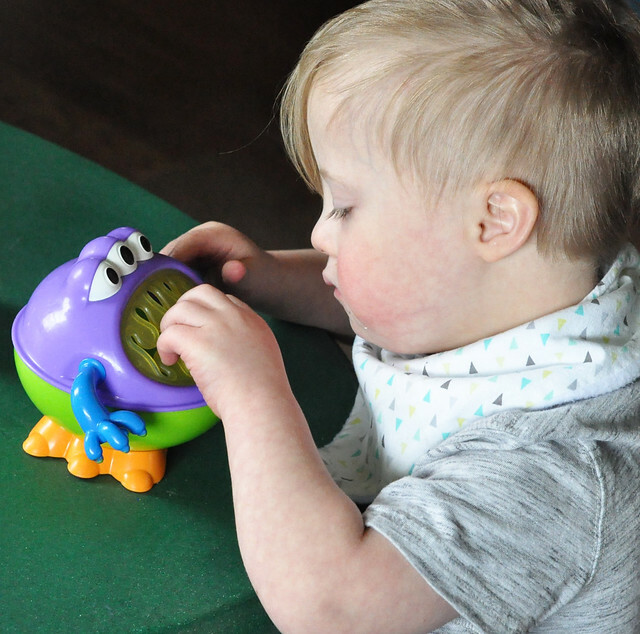 The seat can convert to a booster seat once he's ready and we often unhook it from the chair and use it on the floor during his speech therapy sessions. 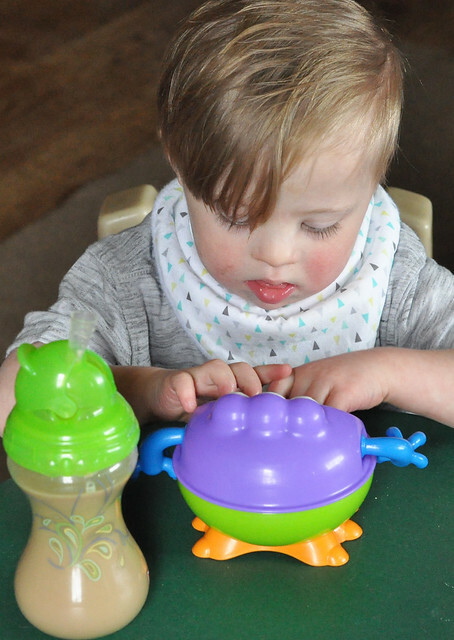 My little dude is MESSY, so I rely on the best bibs ever to keep him clean! My friend introduced me to them and they were a game changer! KLADD PRICKAR Bib - A set of 2 is only $10! We use them for arts and crafts, too! When Liam is sitting at the table without his highchair tray, I like to use a placemat to protect the wood. 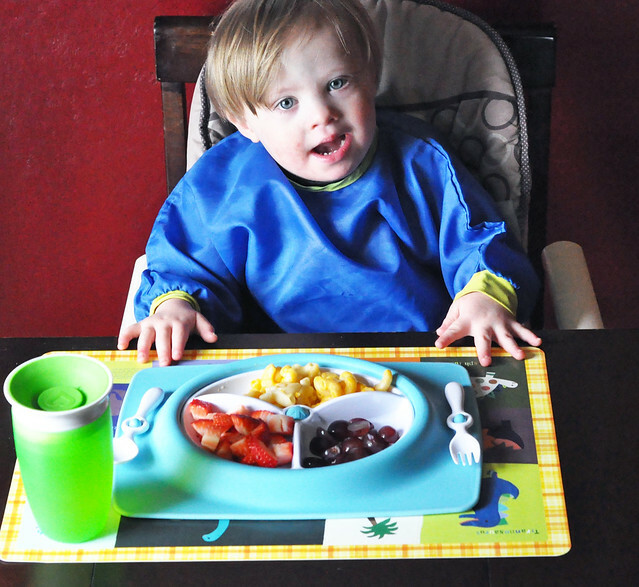 He has a really cute personalized placemat from i see me! Most of you know that Liam has Down syndrome. Feeding problems are a very common issue. Thankfully, we haven't had to deal with feeding problems, but Liam DOES like to toss his cups, plates, bowls and utensils to the ground. He only does it during lunch, so I rely on weighted heavy feeding mats for lunchtime! The Skip Hop Mate Stay Put Mat + Plate is great! It's heavy and skid-resistant and the plate and utensils attach to the mat! For some reason, it seems to deter Liam from throwing! I guess it's a good distraction. 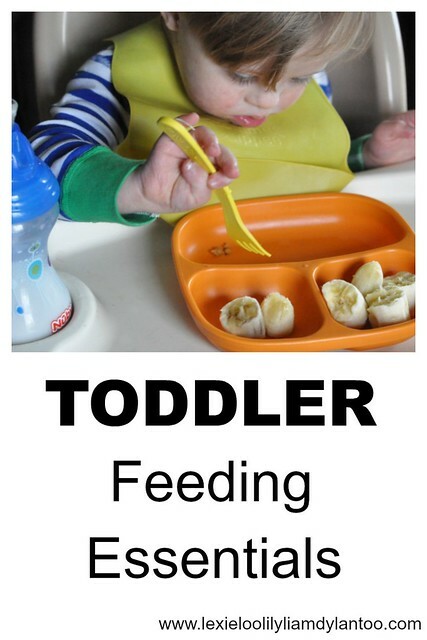 I personally love the divided plate that is the perfect size for a toddler! 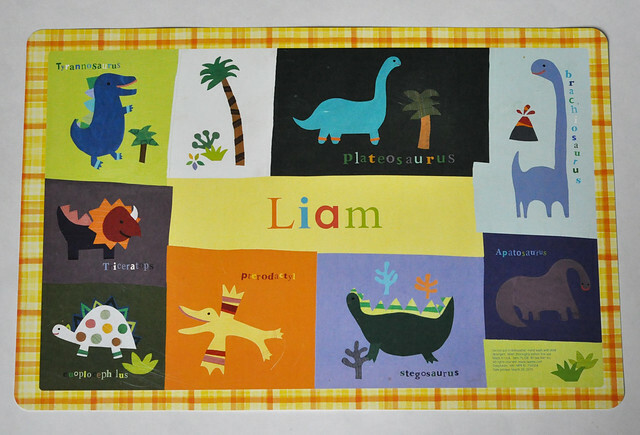 I haven't purchased an ezpz mat yet, but many of Liam's friends' parents swear by them! That's next on my list of items to buy! 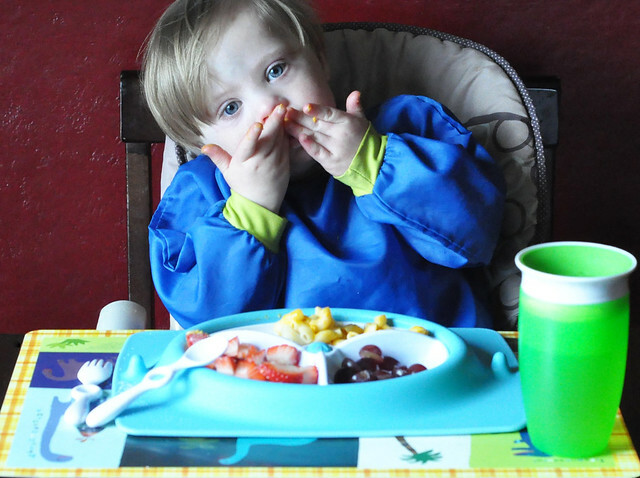 Many of Liam's meals are served on Re-Play plates and we always use Re-Play utensils. Re-Play items are made out of recycled milk jugs! If you haven't heard of them yet, take a moment to check out the company. Their products are inexpensive and so much fun! 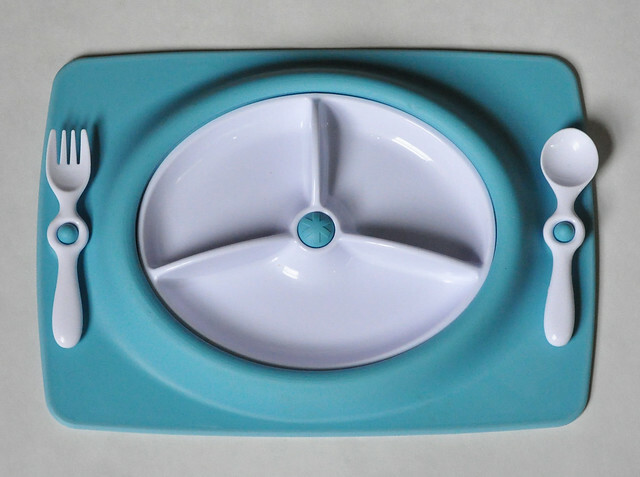 (Lily uses Re-Play plates and utensils, too.) They are truly one of my favorite brands! One of our goals is for Liam to use his utensils full-time. 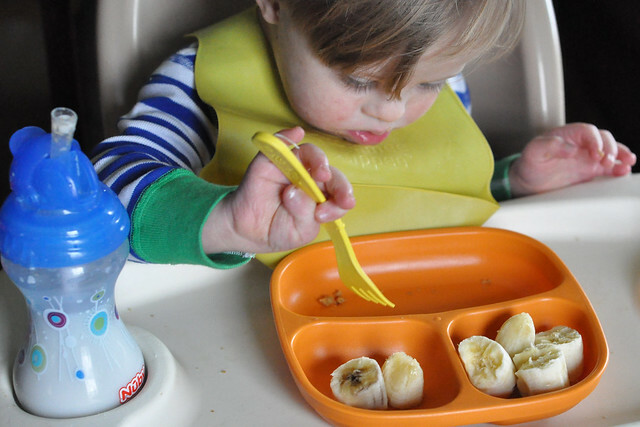 He is doing well and the Re-Play utensils are the perfect size for his little hands! Suction bowls are the way to go with toddlers! 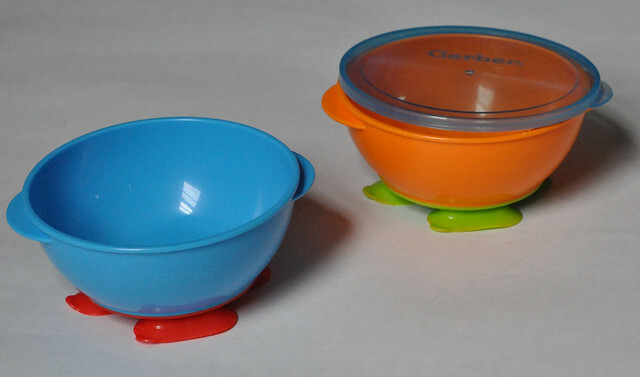 We have been using a popular brand since Liam was an infant, but the bowls never seem to suction very well. 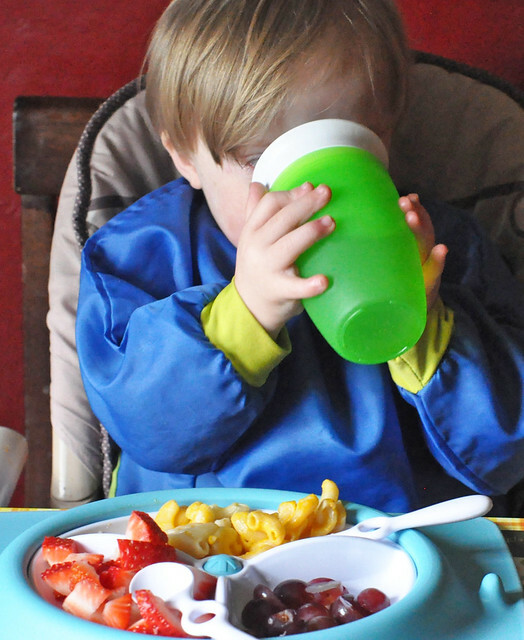 I recently bought the Gerber Graduates Tri-Suction Bowls and they work much better! 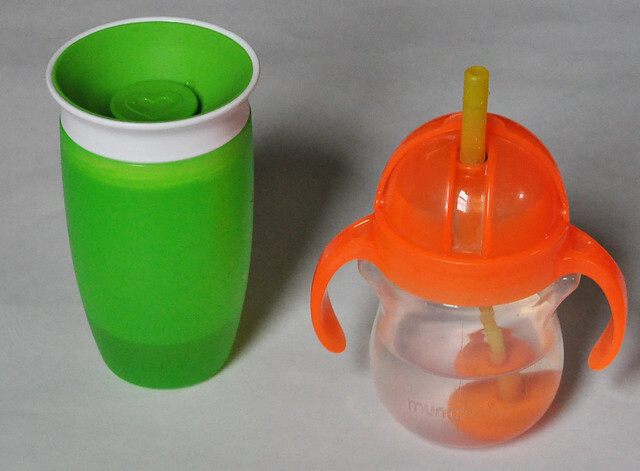 You won't see a single "sippy" cup on my list and there's a good reason for that! The use of sippy cups (those with a spout) can cause tongue thrust. 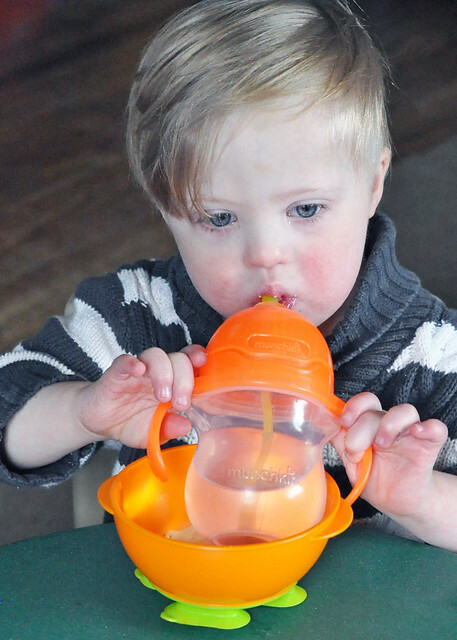 One of the first things we were told after we had Liam was to avoid sippy cups and to just use straw cups. 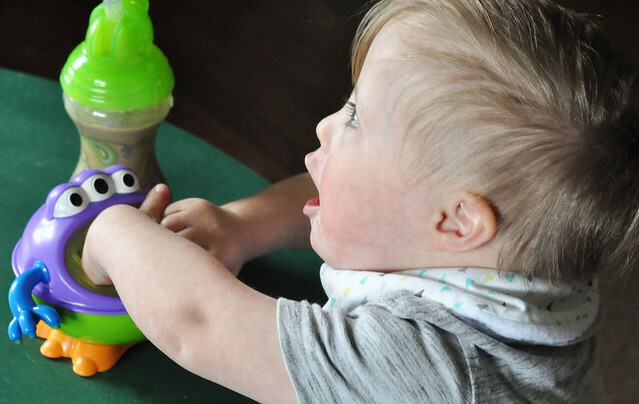 Using a straw cup helps with proper tongue placement and builds the muscles in the mouth which will later be used for speech. 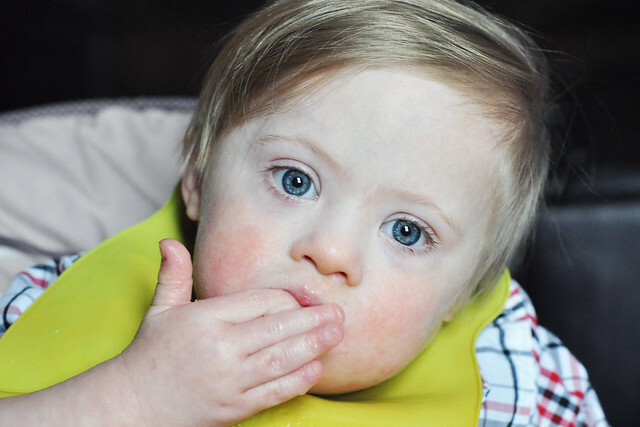 This is especially important for kids who have Down syndrome. Liam started on a straw cup at 6 months old and that's all we've ever used. 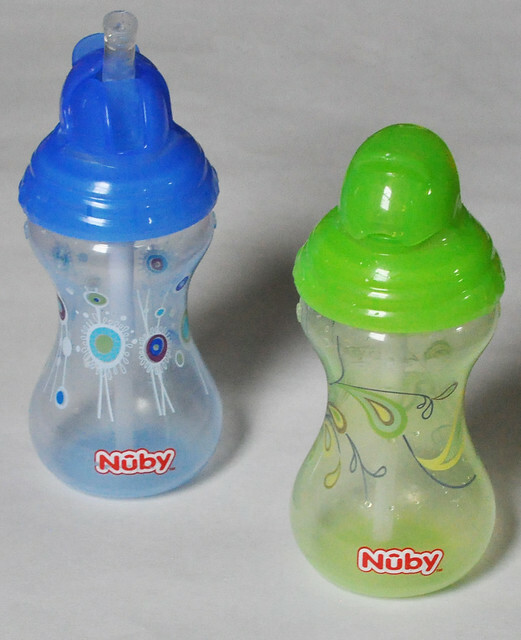 We've gone through many brands and varieties, but our favorites are the Nuby Flip-It Designer Series 10 oz Cups! I also like the Munchkin Weighted Straw Cup. Liam had a lot of success with that one during his early years! 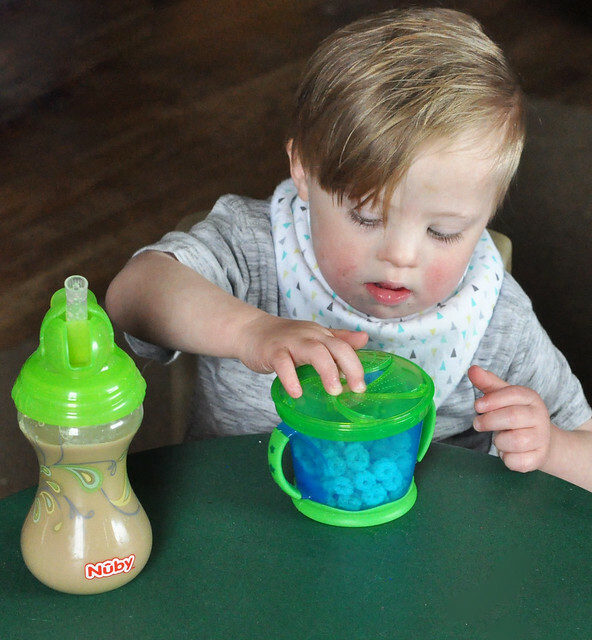 We're starting the transition into a regular cup, and I love the Munchkin Miracle 360 Cup! I bought a few different types of training cups and that is the only one that didn't leak! Finally, snack cups! Because what toddler doesn't want to graze 24/7?!? I like to have them filled and ready to go at all times! 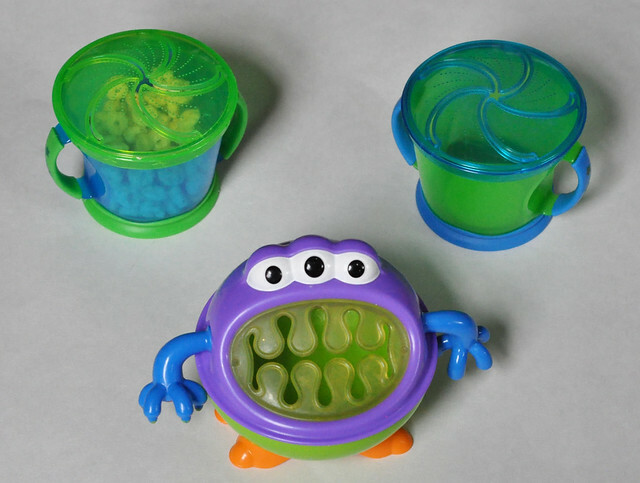 The Nuby 3-D Monster Snack Keeper and the Munchkin Snack Catchers are the ones we use most! I'm sure you can see which one Liam prefers. He definitely likes the monster! All of these feeding essentials are toddler (and mom) approved! Happy Eating! 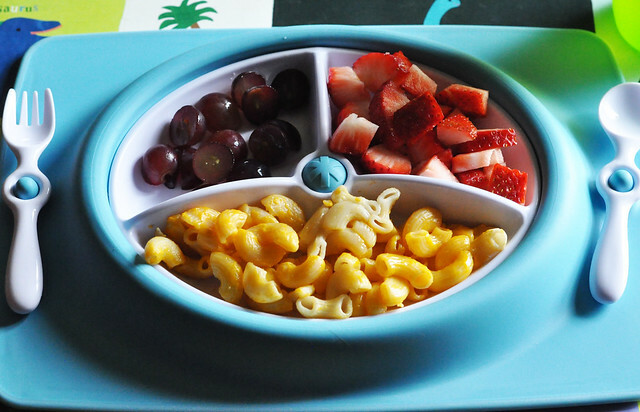 What are your favorite mealtime essentials for babies, toddlers or preschoolers? Stay tuned for our favorite on-the-go feeding essentials and our restaurant pack! *This post is not sponsored and does not contain affiliate links. They're just products that we love! Great tips! We have tried so many different utensils, plates etc too. There are so many in our cabinet right now. I've been wanting to try Replay. I thin i'll have to grab some for sure now. You should grab some! They're the ones we use the most, and you can't beat the price! My kids are all past this stage now, but man- do I wish they would've had that bib available when mine were little! It would have saved many clothes from being thrown away due to food stains! Visiting from Tuesday Talk! They are seriously the best bibs ever! I make Lily wear them when she paints! Liam didn't get his first tooth until he was 13 months, so I understand! We did a lot of finger foods for meals. Scrambled eggs, couscous, alphabet pasta cooked in chicken broth (then drained), tiny pieces of steamed veggies, shredded cheese, tiny pieces of fruit. Once he got better with chewing, I started giving him smaller portions of our meals. I need those bibs for my girls. I can't wait to order them. Thanks for the suggestion. Great finds. We use the space saver high chair as well. We need to with twins. Definitely buy some! They are so inexpensive and they will save so many outfits! Wow! Great suggestions. Boy, how things change even in the three years since I've had a baby. That monster snack cup is adorable!!! I swear, they change so much each year!!! This is a great resource list! 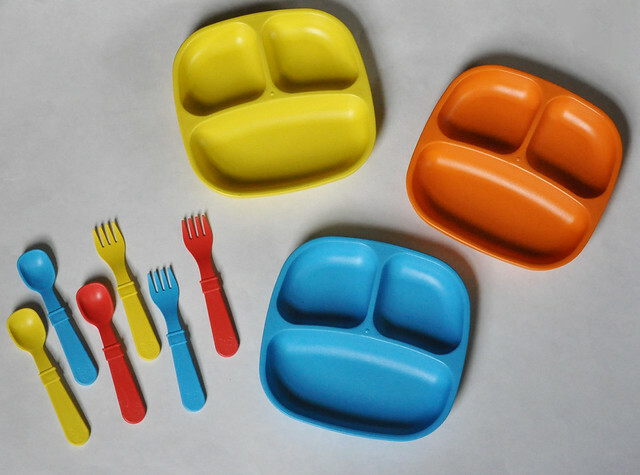 We adore Replay Recycle but find regular utensils work best just because that's what Brielana has always used (ours are pretty lightweight and small to begin with) But I have been looking for snack cups and that monster snacker is adorable!